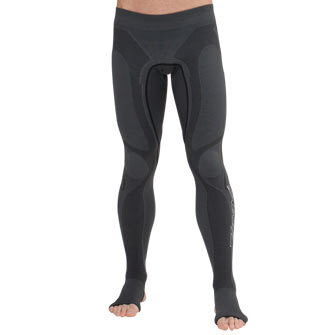 I love compression tights (no, not the kind your great-grandma wears) the athletic kind. My much-more-fit-than-I-could-hope-to-be cousin told me about them last fall and I decided to try them out as I was increasing my running mileage. I bought the Zoot Recovery and Travel tights. They're like magic, for real. There's some sort of science behind them that talks about using compression to increase blood flow and speed up recovery, but the long and short of it is that they feel really good if your legs are tired. This is what I consider my ultimate test. The Sunday that I left for the Philippines (late night flight) I did a 16-mile jog in the morning, took a nap, did some packing, put on my compression tights, did some other stuff and then got on a 13-hour flight. When I got to my hotel room in Manila on Tuesday morning (22-ish hours after completing 16 miles) my legs were fine. They were slightly tired, but they weren't sore and nothing hurt! In my mind that one day made this purchase totally worthwhile. So, I suggest that any active folks out there get some of these things, they make voodoo on your sore muscles.